The majority of professional photographers and videographers today are multimedia or crossover shooters. Indeed, the ability to turn out pro-caliber video as well as topnotch still images is essential in specialties ranging from wedding and advertising photography to documentary photojournalism. That’s why so many working pros gravitate to cameras like the pro ILC models detailed here. All of the cameras we’ve selected can capture 4K UHD video (3,840×2,160 pixels) or DCI 4K video (4,096×2,160 pixels) at 30 frames per second. And many also provide sophisticated pro video Gamma profiles such as S-Log2, S-Log3 and Log Gamma-F that flatten the curve (lower the contrast) to extend the dynamic range and facilitate postproduction tonal adjustments. 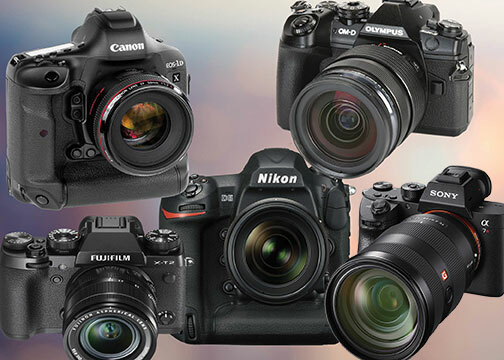 Whether the customer on the other side of your counter is an established or emerging pro, or a serious enthusiast just getting into high-end video, these are the cameras that will deliver for them big-time—and for you. Nikon’s top DSLR provides the speed, precision and high-end capabilities pros demand when shooting 4K video or high-res photos. 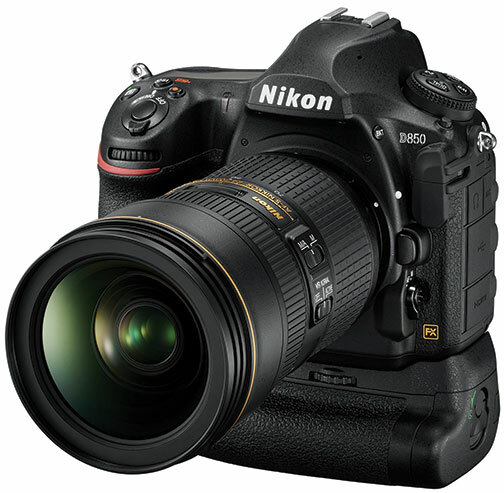 It integrates a 20.8 megapixel, FX-format (35.9×23.9mm) CMOS sensor with a top-end Expeed 5 image processor. 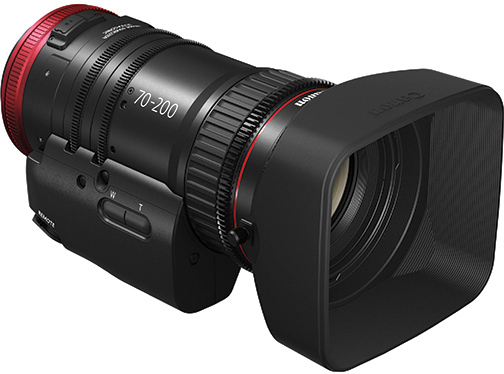 They deliver a full-res burst rate of 12 frames per second for 200 shots with full AE/AF, and sensitivity settings of ISO 100–102,400 that are extendable to 3,280,000! Pro video features include 4K UHD recording at 30/25/24 fps, plus Full HD with various rate options. Photographers can create 4K UHD time-lapse recordings, as well as benefit from zebra stripes and a built-in stereo mic with 20-step adjustments. The D5 also outputs lossless 14-bit NEF and 12-bit RAW S files. Also, its Multi-CAM 20K AF system provides 153 phase-detection points, including 99 cross-type sensors; 55 are selectable for optimum flexibility. The system also provides dynamic-area, group-area and auto-area AF, plus 3D tracking. This flagship of the Alpha a7 line of high-performance, full-frame, mirrorless E-mount cameras is optimized for multimedia and video shooters. It offers 4K video capture and three video profiles. It employs a 42.4MP Exmor R BSI (backside-illuminated) CMOS sensor coupled to an advanced Bionz X processor and new front-end LSI. They provide internal 4K UHD video recording at 30/24 fps in the XAVC S format. Pro video features include S-Log2 and S-Log3 Gamma profiles that can capture a 15-stop dynamic range, as well as Hybrid Log Gamma for capturing 4K HDR video with wide color gamut. It also records 120-fps, 100Mbps Full HD video. Additionally, an anti-flicker function enables the camera to detect the frequency of fluorescent lighting and minimize its effect. The camera provides sensitivity settings to ISO 102,400, 14-bit RAW output, Pixel Shift Multi Shooting for enhanced image quality and tonal range, a 399-point phase-detection/425-area contrast-detection AF system, plus a 10-fps, full-res burst rate for 76 frames. 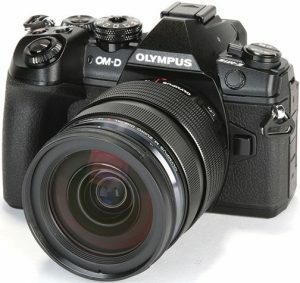 Also featured is 5-Axis SteadyShot Inside IS (image stabilization) that delivers 5.5 stops of anti-shake compensation. Viewing options include a 3.69M-dot OLED electronic viewfinder (EVF) and a 3-inch, 1.44M-dot, tilting LCD monitor with touch focus and a touch pad function. The flagship of the EOS line, this pro model combines state-of-the-art image processing with robust multimedia capabilities. Its 20.2MP, full-frame CMOS sensor is integrated with advanced dual Digic 6+ image processors to deliver a sizzling 14-fps, full-res burst rate (16 fps in live view). For videographers, it achieves DCI 4K (4,096×2,160) video capture at up to 60 fps and 800Mbps, plus Full HD video at up to 120 fps for slow-motion playback. Its 61-point high-density reticular AF II and dual pixel CMOS AF systems provide 41 cross-type zones for enhanced focusing precision. A separate, dedicated Digic 6 processor maintains impressive AF speed when shooting 4K video and at high framing rates. The Olympus Micro Four Thirds flagship retains has the popular downsized DSLR form factor, and it’s substantially upgraded with a 20.4MP High-Speed Live MOS MFT image sensor coupled to a TruePic VIII dual quad core processor. Together they provide a 15-fps, full-res burst rate, increased responsiveness, enhanced image quality and improved performance at high sensitivity settings up to ISO 25,600. In addition, RAW shooting and a 50MP high-res shot mode are provided. Video features include an advanced 5-axis sensor-shift IS system engineered to deliver shake-free images even when shooting DCI 4K/24p (4,096×2,160) or 4K UHD/30p video handheld. Moreover, a dual FAST 121-point AF system delivers pro-caliber performance. Its large, wide-view, high-magnification, 2.36M-dot, eye-level EVF offers a 100% view, and it’s complemented with a 3-inch, 1.04M-dot, tilting, touch-screen LCD monitor. Panasonic’s top-of-the-line Micro Four Thirds mirrorless camera offers pro photo and video performance in a durable magnesium alloy body. It employs a 20.3MP Digital Live MOS sensor coupled to an advanced Venus Engine processor. Together they deliver 4K UHD video capture at up to 60/50 fps and internal 4:2:2, 4K, 10-bit video recording at 24 and 30 fps. Videographers can record to an SD card while simultaneously feeding a live signal through the GH5’s HDMI port connected to an external monitor or recorder. 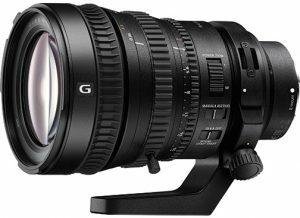 The camera also has a maximum full-res burst rate of 12 fps with continuous AF and low noise performance at ISOs to 25,600. Its 10-bit color capability means it can record greater color subtleties. And its 6K and 4K photo modes let shooters output impressive quality still images from video clips. 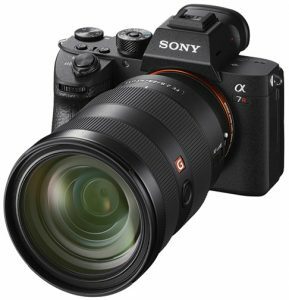 Other advanced features include: a 225-area DFD (Depth from Defocus) AF system that focuses in as little as 0.05 sec; a 5-axis dual IS 2 system that combines in-lens and sensor-shift stabilization with compatible Lumix lenses; a 0.76x, 3.68M-dot OLED EVF; a 3.2-inch, 1.62M-dot, free-angle, touch LCD monitor; built-in 5GHz Wi-Fi; Bluetooth LE (low energy) 4.2; and dual UHS-II SD card slots. 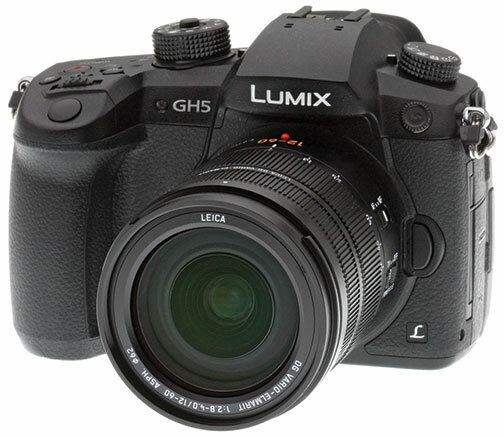 The handsome, ergonomically contoured GH5 is dust and moisture sealed as well as freezeproof to 14ºF. $1,999.99. This weatherproof, minimalist DSLR-style ILC is the top model in Fujifilm’s impressive mirrorless X series. 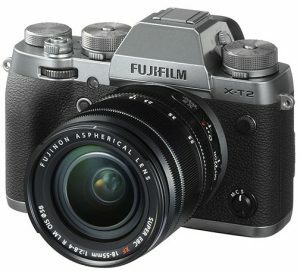 It features Fujifilm’s upgraded 24.3MP APS-C X-Trans CMOS III sensor, claimed to deliver superior image quality and lower noise than conventional sensors. And it’s coupled to an advanced X-Processor Pro engine to deliver a continuous full-res burst rate of 8 fps. The X-T2 boasts internal 4K UHD video capture at 30p/25p/24p plus an F-Log Gamma setting for achieving superior flexibility in postproduction. In addition, shooters can apply film simulation modes while recording 4K video. Other video features include Full HD (1,920×1,080) at 60p/50p/30p/25p/24p and HD video recording. With the addition of an optional vertical power booster grip, it will record for up to 30 minutes. There is also a 3.5mm microphone jack for more advanced audio solutions. 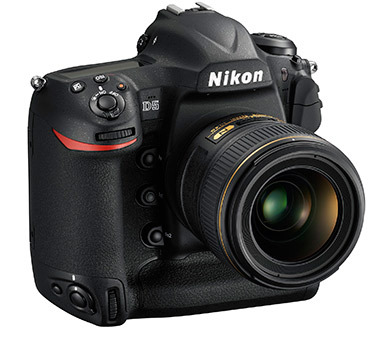 Nikon’s widely anticipated full-frame upgrade is the first of the breed to combine a new 45.7MP BSI CMOS sensor with no optical low-pass filter and a cutting-edge Expeed 5 processor. That combo delivers a full-res burst rate of 7 fps that can capture 51 compressed, lossless 14-bit RAW files with full AE/AF and sensitivity settings extendable from ISO 32 to ISO 102,400. In addition, 4K UHD video recording is achievable at 30/25/24 fps in full-frame or DX crop-sensor framing. For multimedia creators, it also offers Full HD recording at 120 fps; 8K time-lapse mode; highlight display mode with zebra patterns; uncompressed, broadcast-quality 16:9 4K UHD recording simultaneously to a digital recorder via HDMI; a stereo mic; and an audio attenuator to adjust sound level. Other features include: a Multi-CAM 20K 153-point AF system with a choice of 24-, 72- and 153-point dynamic-area AF zones and fine-focus tuning capability; autofocus down to -4 EV for capture in near darkness; a 3.2-inch, 2.36M-dot, tilting, touch-screen LCD; a 180K-pixel RGB sensor; and a focus-shift mode that allows sophisticated focus stacking of up to 10 image layers. 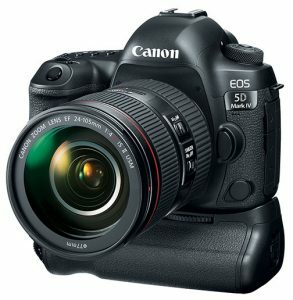 This is the latest iteration of Canon’s hugely successful EOS 5D DSLR series widely used by professionals and serious enthusiasts. This model delivers exceptional image quality and fine detail thanks to its 30.4MP, full-frame CMOS sensor integrated with Canon’s state-of-the-art Digic 6+ image processor. 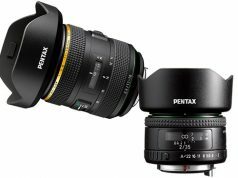 The pair provides DCI 4K (4,096×2,160) video capture at 30/24 fps plus 4K, 8.8MP full-frame still grabs. Other video options include Full HD recording at up to 60 fps and HD up to 120, as well as movie servo autofocus options. A native ISO range of 50–32,000 is extendable to ISO 102,400. And it boasts a full-res burst rate of 7 fps, with images storable on both CF and SD cards. 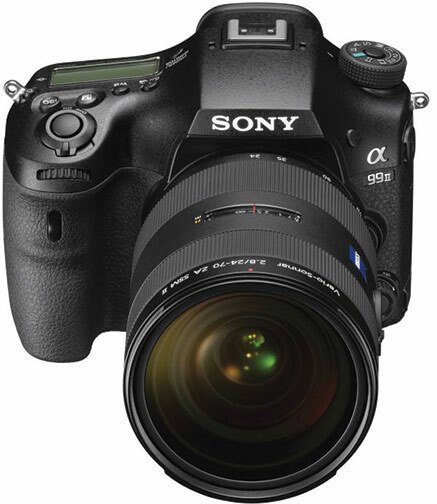 Also notable are a 61-point high-density reticular AF system with an AF-area select button; Dual Pixel CMOS AF technology with enhanced subject tracking; and Dual Pixel RAW technology that allows users to fine-tune image parameters, including bokeh shift and micro focus adjustment, after the picture is taken. Sony’s pro flagship A-mount model looks and feels like a DSLR, but it’s actually an ingenious hybrid design that employs a stationary translucent mirror to divert part of the light passing through the lens to its advanced AF system sensors. The result: It provides full-time AF before, during and after the exposure, crucial when shooting video or high-speed bursts. 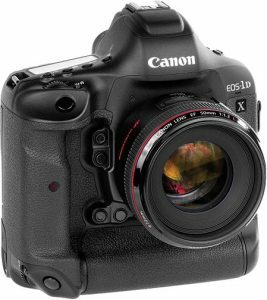 Its professional performance parameters also include a full-frame, 42MP Exmor R BSI CMOS sensor, a Bionz X image processor and front-end LSI that enable sensitivity settings up to ISO 102,400, plus a state-of-the-art AF system. The hybrid AF system has 399 on-sensor phase points for vertical detection and a second 79-point array (with 15 cross-type points) for horizontal detection. Many experienced video shooters use cine lenses designed specifically for video. Cine lenses are almost always parfocal—they maintain focus as you zoom or change apertures. They have aperture rings without click stops so you can change apertures smoothly and silently. They also feature long-throw zoom and manual focus controls with silky smooth action. And their zoom and focus controls usually have external gear teeth that mesh with integral or add-on servo-control units. Most are calibrated in T-stops, are built to very high standards, and feature rugged, weatherproof well-sealed construction. 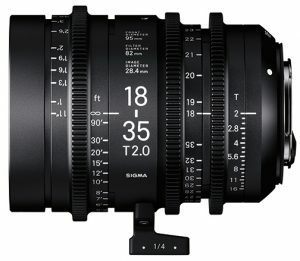 Cine lenses are the gold standard, but they’re expensive, and they can be bulky. That’s why many pro video shooters also rely on high-performance lenses designed primarily for still photography. Here’s an abbreviated selection of both types. *All manufacturers’ suggested retail prices are body only.